Despite the uncertainties that come with being a scientist today I count myself to be in a very privileged position. 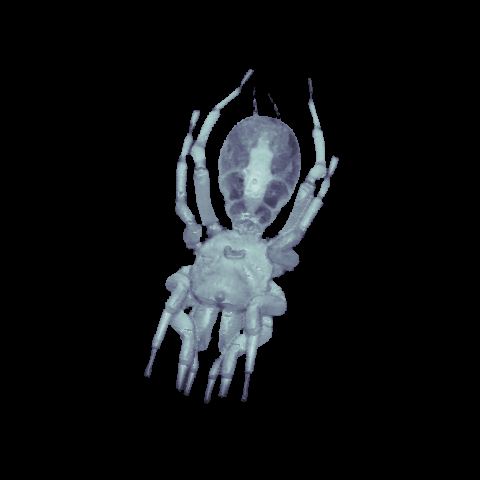 Currently I use Magnetic Resonance Imaging (MRI) to study various fish, spiders and caterpillars. This unusual combination of research always ensures that there is something new to see whenever I scan a new subject. My lab was the first to see a spider’s heart beating – amazing stuff! I count myself doubly fortunate, as I began my career as a physicist with no interest in biology. Generally, if it crawled about or ate things I wasn’t interested. Instead, I wanted to learn about the universe as a whole and what made it tick. Back in my school days I had been told very clearly (with the best of intentions) that I must choose between physics and biology if I wanted to go on to university, so I threw my lot in with physics. It wasn’t until I started working in biology much later that I realised this division between the two subjects was as unhelpful as it was wrong. It is often at the meeting points between subjects that the most exciting research is currently being done. Good conversation between fields is the new way of working for the scientific community. With my own research I always have to anticipate questions from scientists across the board when I present it at conferences. It’s actually great fun, as everyone has something to give to the discussion. I was thinking about all this when I recently attended a conference run by Scientists in Congregations, Scotland. This is an organisation doing great work encouraging conversations between theologians, scientists and those in the pews of our churches. It was a great weekend, not just for the mix of people present, but for the exchange of ideas that occurred between everyone there. We genuinely listened to each other and shared in one another’s concerns and conundrums as well as expertise. It was probably one of the most fulfilling conferences I have been to. I find that every conference has merit, but this one was conducted in a particularly edifying manner that the competition-driven conferences of the scientific community could learn from! Too often in both church and society we mistakenly think different ideas or areas of knowledge must compete or be opposed to each other in order to ‘prove’ their own worth. Biology versus physics, or science pitted against Christianity, for example. Not only is this unhelpful, but I would argue it is hardly Biblical. God is creator and sustainer of all of reality – from galaxies, to caterpillars, to human beings created in his image. A touch of the humbleness I mentioned before doesn’t go amiss in appreciating this. For Christians, it should open our hearts and minds to learn from and appreciate those with different expertise or experience. God is so incredible and his creation so lavishly rich that the church must not be out of genuine conversation with scientists, and other academics such as historians and theologians, to gain the best understanding of both. We should also remember that many of these scientists are already in Christian community with ourselves. Not all scientists believe, not all disbelieve, and many (like all people) probably haven’t made a decision either way. Perhaps most of all, the example of Christ compels us to build one another up in love, patience and understanding. Jesus specialised in treating all equally, listening to and giving time to those around him, from whatever walk of life or opinion. He especially seemed to do this with those he might well have disagreed with. If Christians want to demonstrate the essence of Christ to those around us, what better way to begin than by listening to and delighting in what we can each bring to one another? Another week in the lab looms for me. 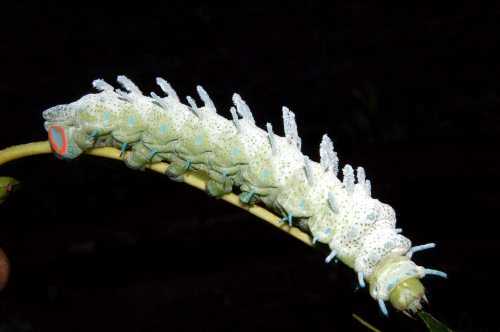 When I put one of my caterpillars (a biological marvel in itself) into my scanner I will be thinking of the new conversations this might open up, expected and unexpected. A small prayer of thanks for the opportunity will be uttered. Gavin Merrifield is a post-doctoral research scientist at the University of Glasgow Experimental MRI Centre. 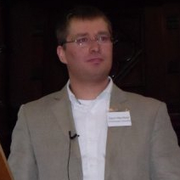 He is active in communicating science to Christian audiences and is a committee member of the Science and Religion Forum.